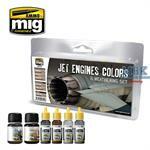 Jet engine colors and weathering set. 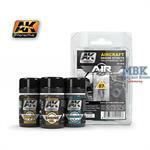 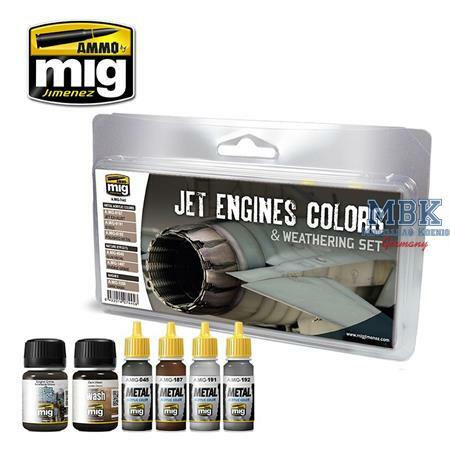 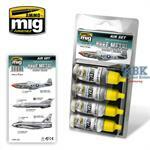 This set includes four essential metallic colors used to paint the hues and tonal variations for the components of a jet turbine, including the afterburner and exhaust nozzles. 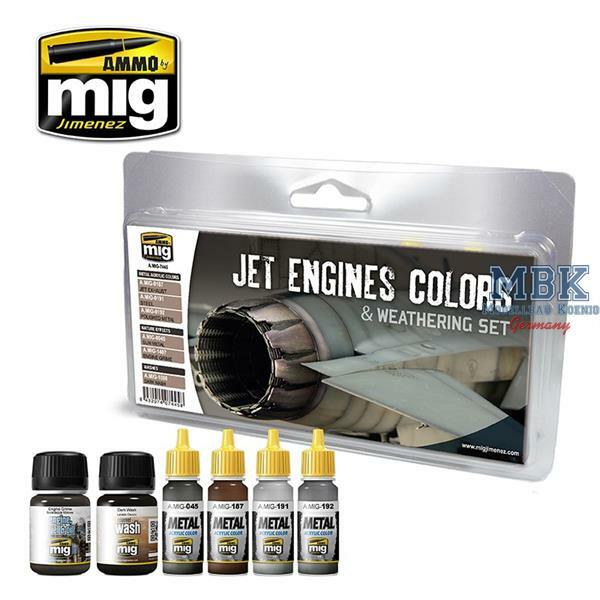 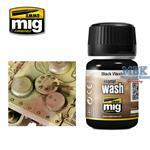 This set also includes two specific products for weathering and outlining the intricate details found in these engines.